Enable Customers to quickly add Products to Cart. 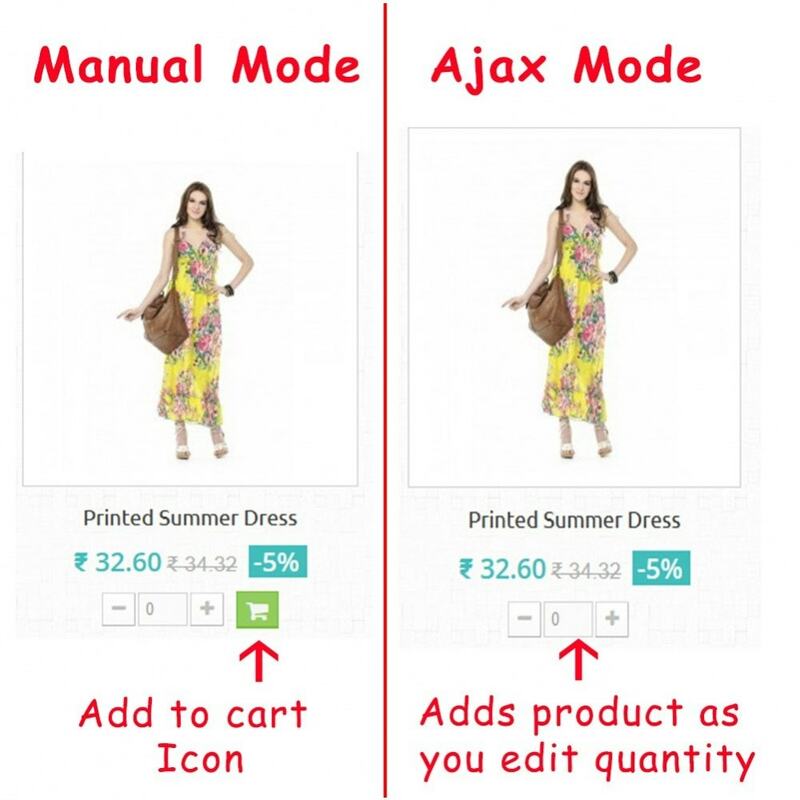 Plus and Minus icons to increase or reduce the Product Quantity in Cart. Avoid displaying the intermediate "Add Product Confirmation Page" / "Cross Selling Page" / any unwanted Pop-ups whenever Customer tries to “Add a Product” / Update Cart. 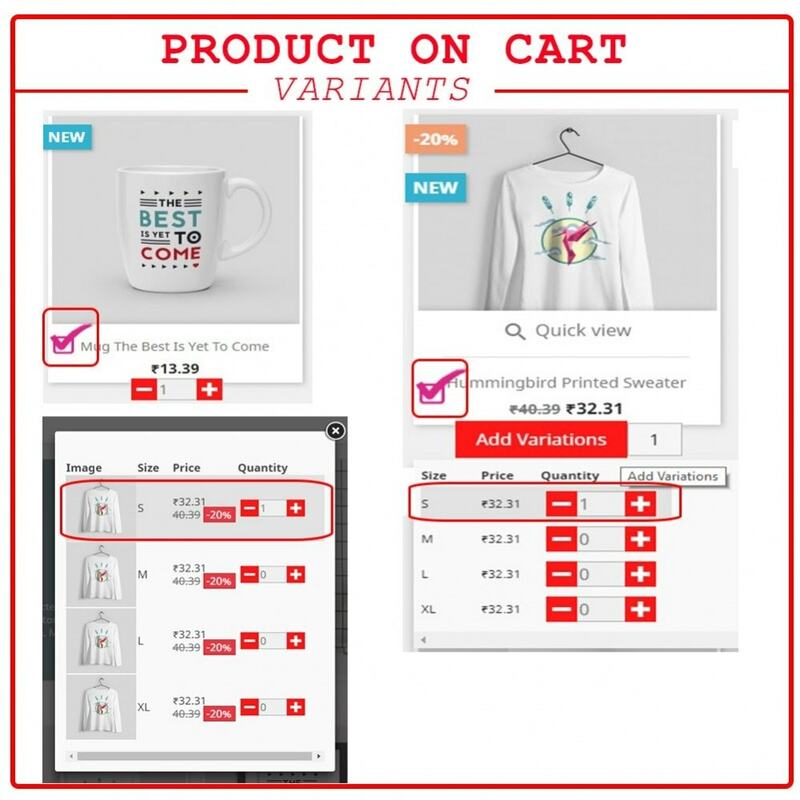 Displays combinations as a drop down for every product in Product Listing page. 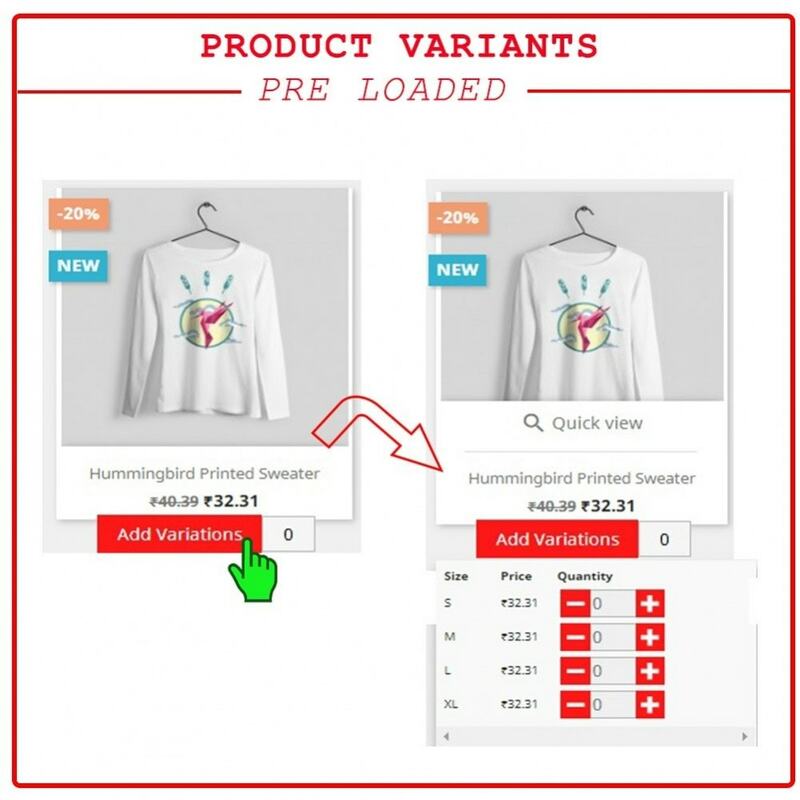 Adds product or specific combinations on a single click from Product Listing page itself. 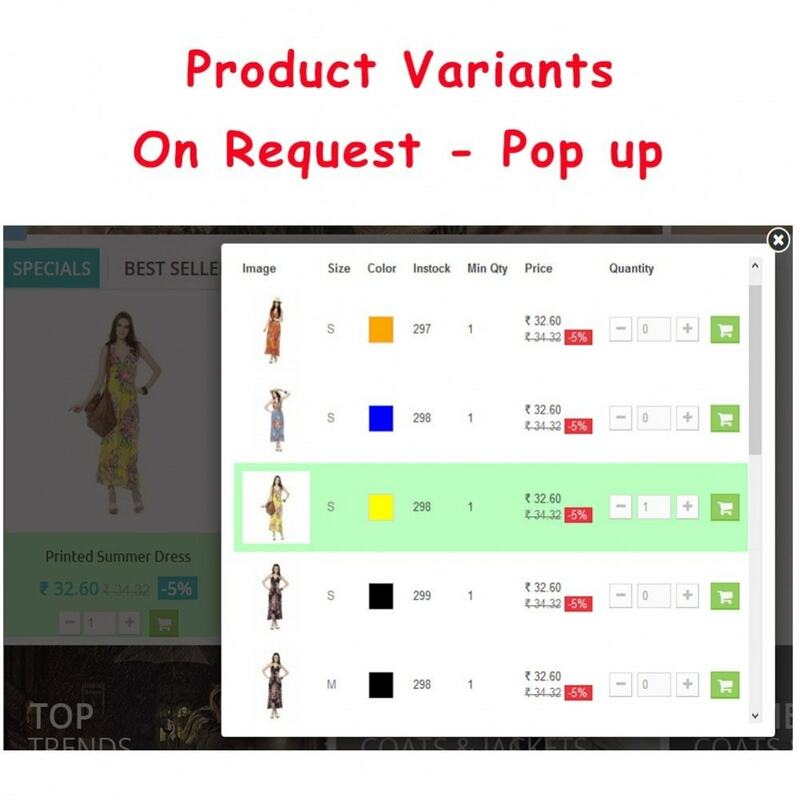 Option to add specific combinations on a single click from Product Details page. Highlights products in Cart with a Tick mark / Product box color change. Option to change "Product Box - Highlight Color"
Il modulo “Modulo D’Ordine” consente ai tuoi clienti di effettuare gli ordini in modo più facile e semplice. Riempiono la tabella e poi aggiungono i prodotti al carrello con un semplice click. “No” to disable this module and if you want to have Prestashop default feature. 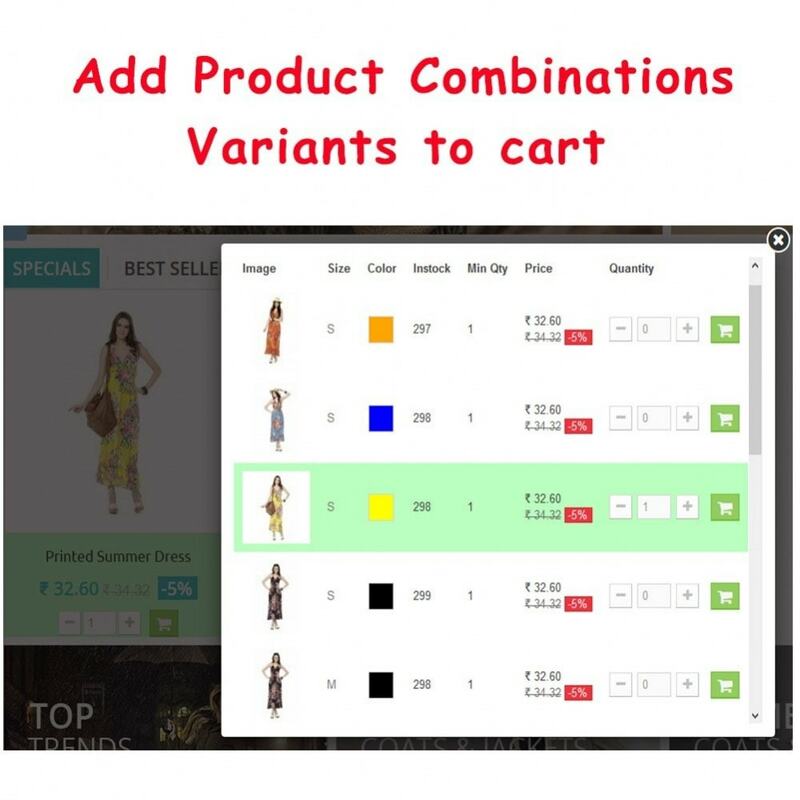 Enables Customers to view the list of combinations of Products from Product Listing page. 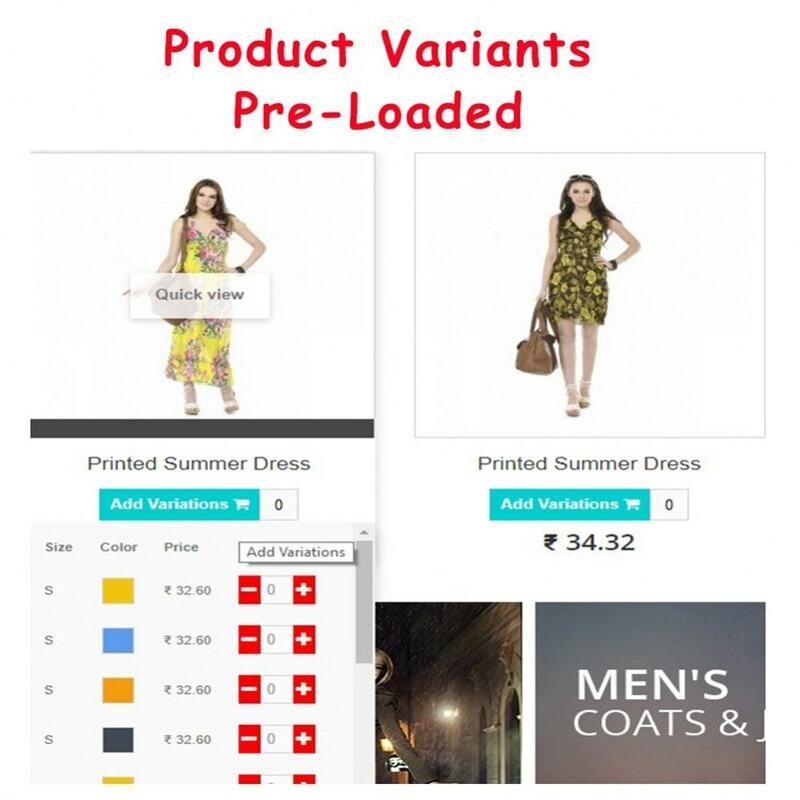 Enables Customers to quickly add Products or Combinations to Cart. Highlights products already added to Cart. 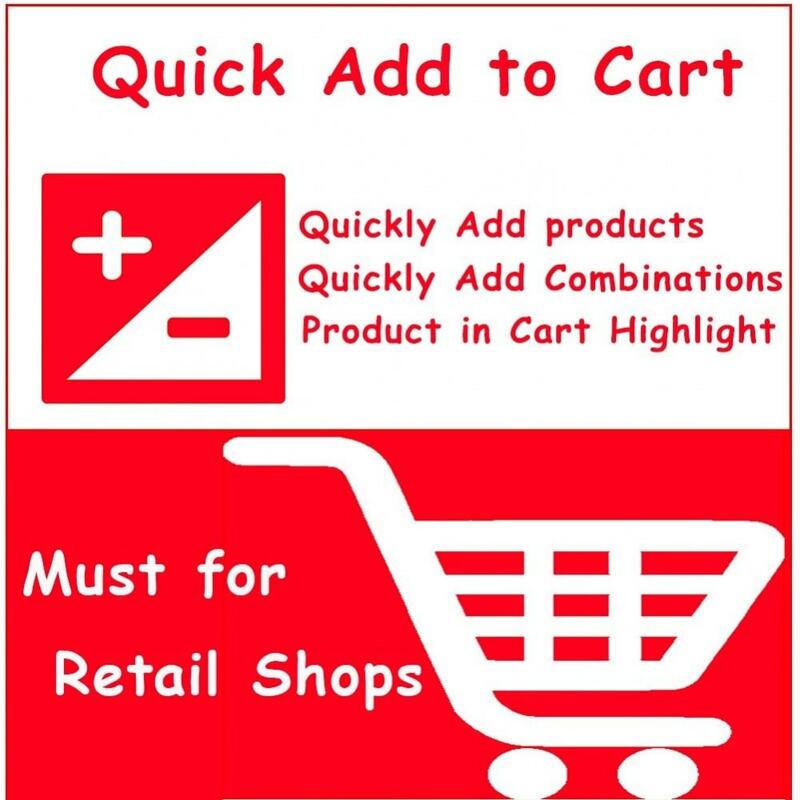 Help Customers clearly differentiate between the Products that are in Cart and that are yet to be added to Cart. Saves Customer time to complete the purchase. 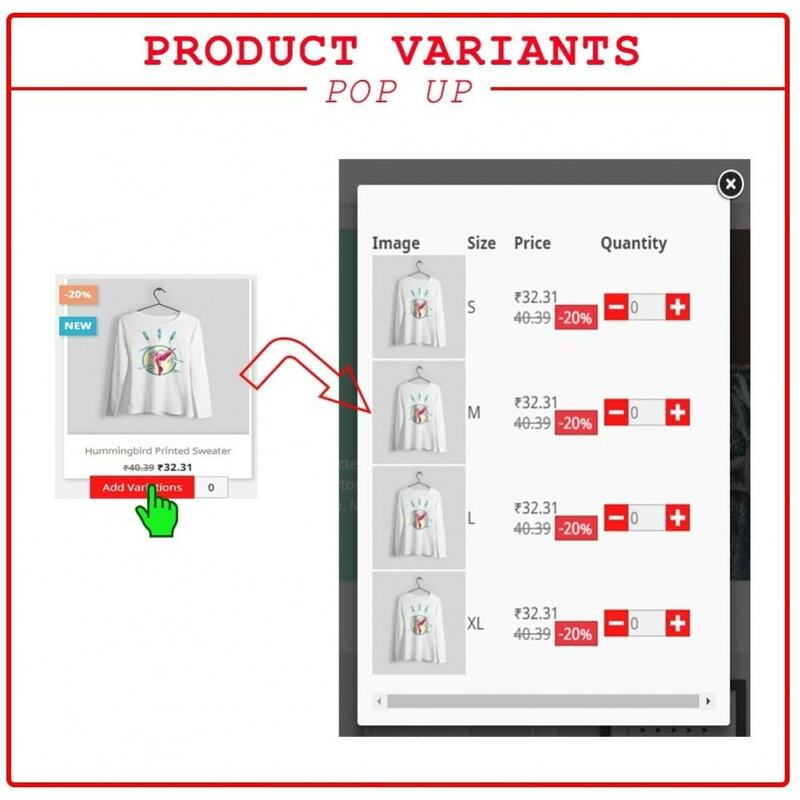 Prevents the intermediate "Add Product Confirmation Page" / "Cross Selling Page" / any unwanted Pop-ups when Customer “Adds a Product” / Updates Cart. Search product combinations by reference in back-office. Products displayed with attribute names for easy identification.